Relax at the consistently enjoyable Microtel Inn and Suites by Wyndham Miami hotel conveniently located near concerts and opera performances at Coleman Theater, museums, Miami Fairgrounds, and minutes from casinos and restaurants. 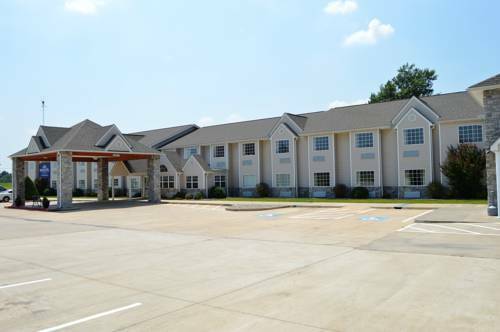 Northeastern Oklahoma AM College is just a short drive away. Ideal for business and leisure, this modern lodging offers a heated indoor pool, hot tub, fitness center, large-vehicle parking and guest laundry facilities. Stay productive in the meeting room and business center with copy, fax and print services. Wake up to complimentary continental breakfast with hot items, and connect to the complimentary wireless Internet access to check email. Comfortable guest rooms include hairdryer, work desk and TV. Suites, smoke-free and handicapped-accessible rooms are also available. Pets are welcome at this lodging.